I’m excited to team up with Champions for Kids, an organization which works to give kids what they need to thrive. 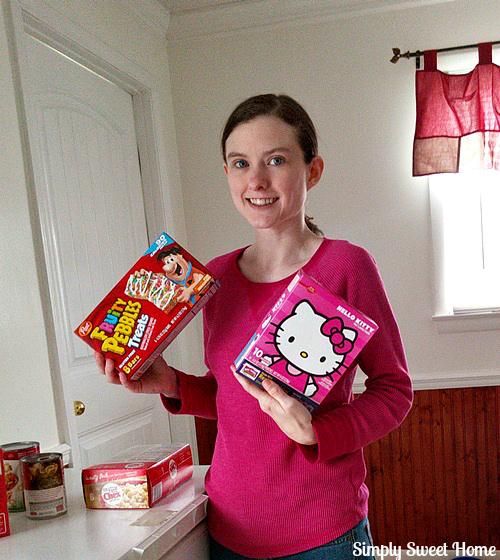 Last month they launched this year’s Snacks for Students program in Walmart stores across the country! 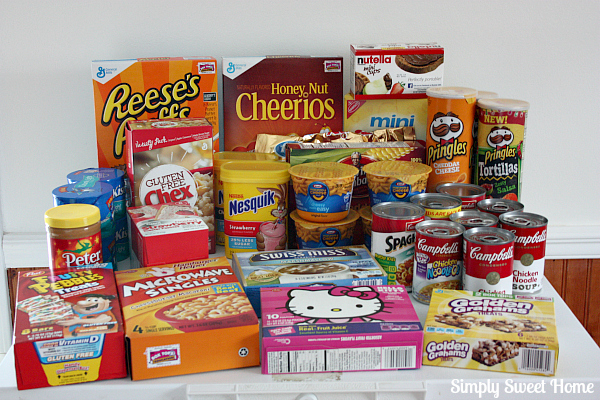 The Snacks for Students program is part of SIMPLE Giving, a Champions for Kids program that seeks to help kids by going directly to the people in the community, specifically by making it simple for shoppers to purchase and donate items to children need. In 2013, SIMPLE Giving began in 24 central Arkansas Walmart stores and was extended to Walmart stores across 11 states in 2014. And this year’s Snacks for Students program is the first of several campaigns to launch nationally, with the goal to provide resources for more than 10 million children in 2015. Here’s how it works: donation bins are placed in local Walmart stores, and local organizations sign up to be a Champion for Kids. Those organizations will then ensure that all donations go to places where they are needed. A couple of organizations in my town have signed up to be champions,and I was actually responsible for recruiting South Chapel Hill Baptist Church as a Champion. I know they and the other Champions will work hard to distribute the donations to places where they will do the most good. 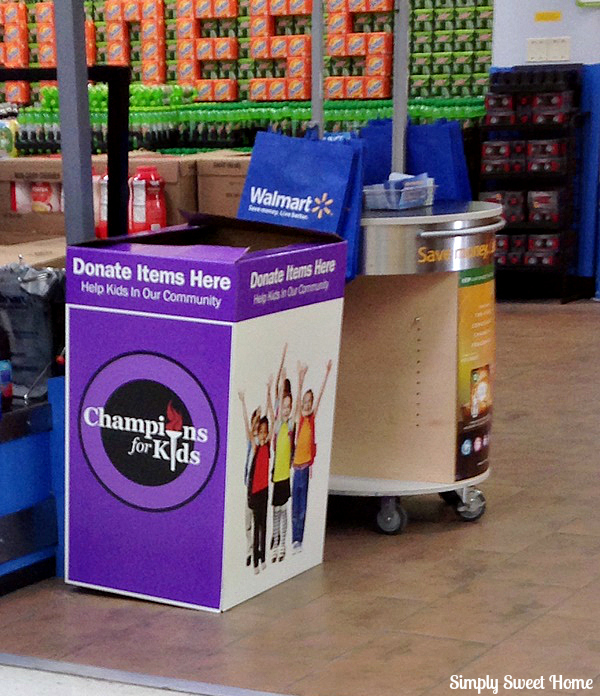 Champions for Kids donation boxes are set up near the front of your store. 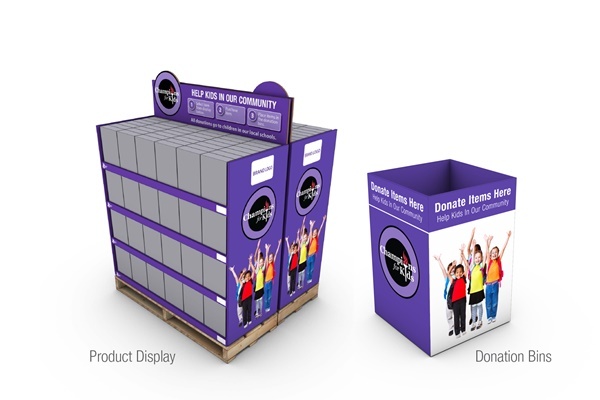 You may also see a display pallet somewhere in your store with suggested items for donation from sponsoring companies like General Mills, Kelloggs, Emerald, and Kettle Chips. In addition to the donations received in bins at over 3600 Walmart stores nationwide, Champions for Kids, General Mills, Kellogg’s, Emerald and Kettle Chips will provide 13 awards, totaling $45,000, to school districts and participating youth-based organizations based on the total number of donated items collected in each store. I was most interested in this working with this organization because I like helping out local organizations, and I am happy that all donated items actually stay in the community. And I love that the organization gives local groups the opportunity to sign up and make the best use of those donated resources. Aside from spreading the word about this organization, my family and I decided to make some donations of our own. Before going to the store to drop off our items, I took just a few photos to give some ideas about what you and your family could donate. You obviously need to donate dry, non-perishable items. Items you should highly consider are breakfast and snack items. I included some boxed items with individual packaged servings inside like cereal bars, granola bars, toaster pastries, oatmeal, and fruit snacks. Cereal is also a great choice, and snacks like cookies, crackers, and chips would be especially great for schools and youth organizations. 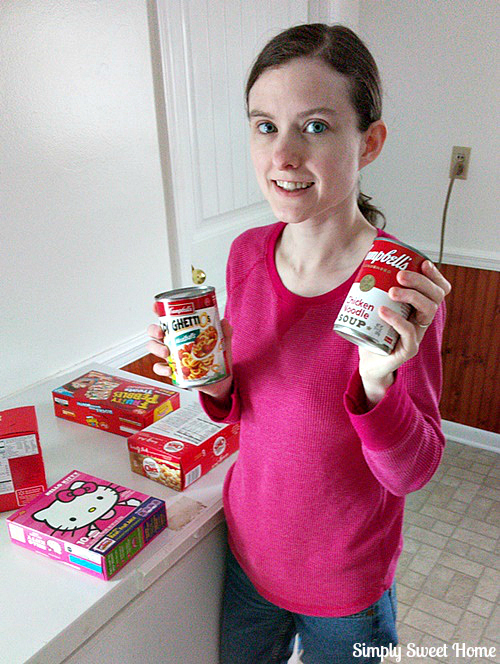 I also selected some canned goods and boxed food items. The Champion that I recruited would like to give items to needy families, so I thought items like canned soups and macaroni & cheese would be good for these purposes. You may also find a drop box near the entrance or somewhere else at the front of your store. If you wish to support your community by making a donation, just check out the listing of Participating Walmart Stores to find out if your store has a donation box. You can also learn more and connect with Champions for Kids on Twitter and Facebook.